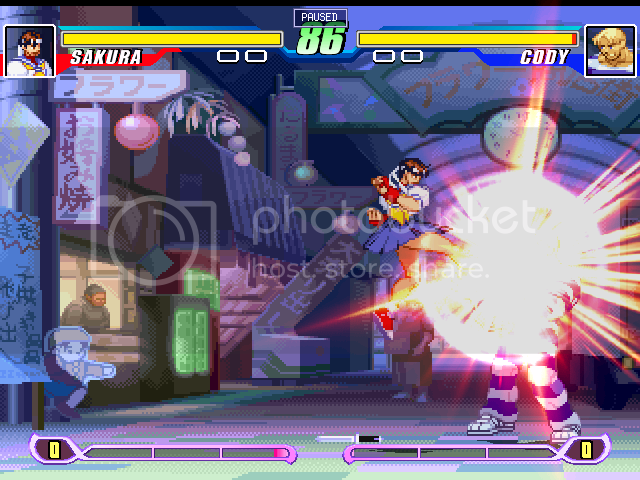 notes: The more the hadouken is charged, the less distance it travels(but the more damage it does). EX can also be charged. notes: Input increases hit count. Doesn't travel and can block some projectiles. EX has an extra hit. notes: input changes hit count. EX does more hits. notes: input determines height. 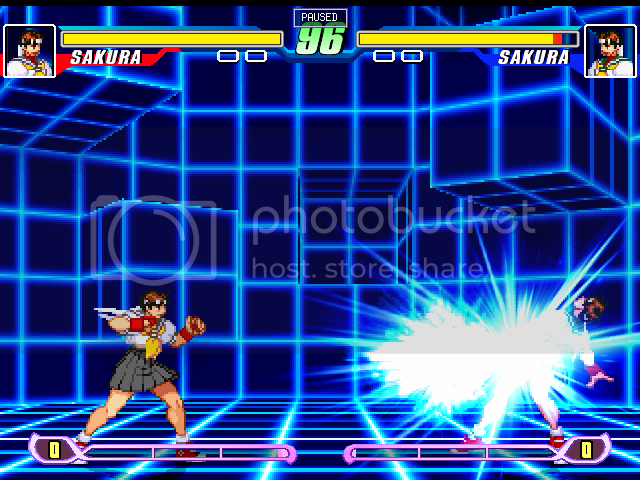 Inputting the tatsu command during the attack will activate the follow up when Sakura lands(adding a hard knock down). EX follow up is automatic and is a free juggle. notes: A dive kick type move giving you a large frame advantage. EX is an even bigger advantage with more damage. 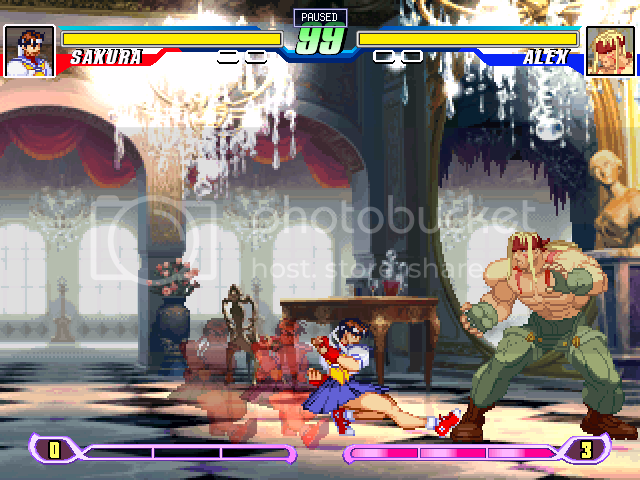 notes: Pressing punch after Sakura has left the ground will trigger the attack. 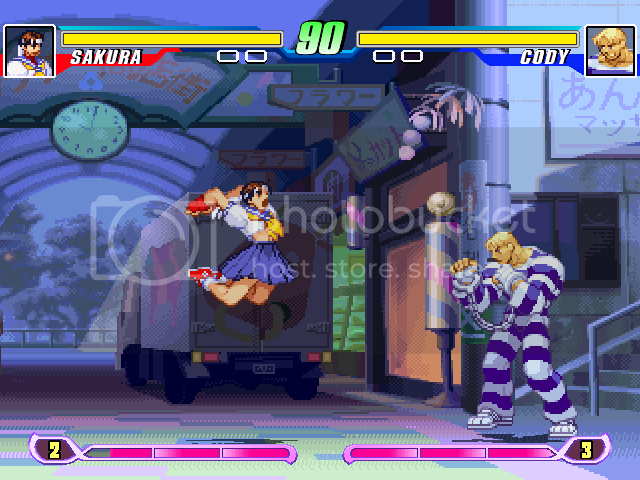 Pressing kick cancels it(causing her to drop down). You can land the attack up to 3 times in mid air(its also a knock down). EX has an adjusted angle and more damage. notes: Projectile. Input determines hit count. It loses hits as it travels. notes: input determines hit count. It loses hits over time. notes: hit count is based on input. 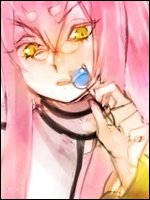 I still seriously think Hadoushou should be HCB+P. Less clashing with the normal fireball. I'm considering it. The issue is how lenient my half circles are. 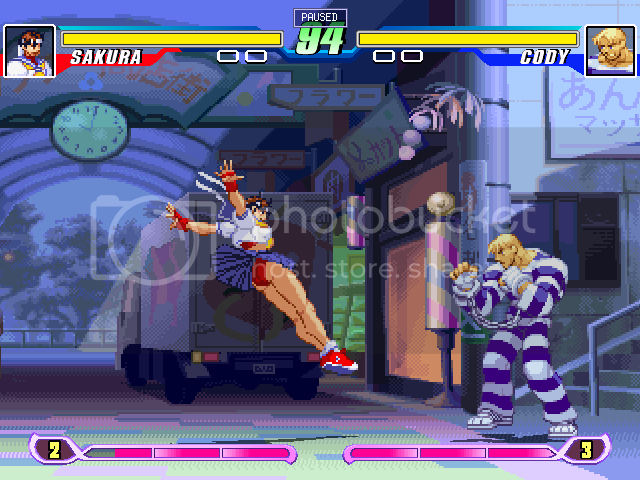 Guarding/walking back and then doing hadouken will net hadoushou. That input allows other dumb things(taking a step forward or two and then doing sonic boom for one). You've been considering it for quite a while now, haven't you? 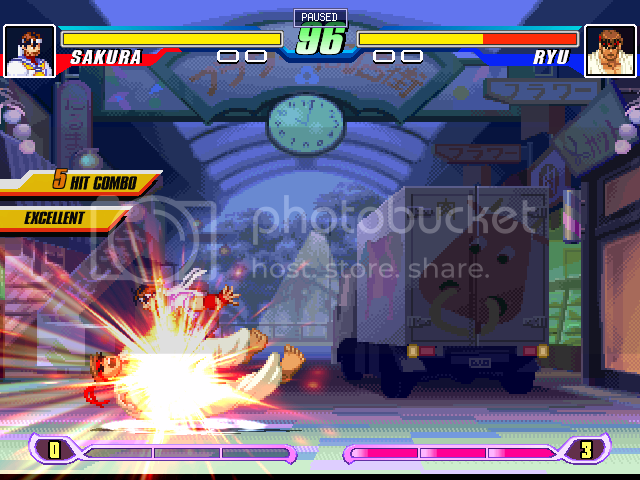 I also have a secondary reason for it: Akuma's Shakanetsu Hadouken is HCB. 'Nuff said. Yeah, I've been busy with other things lately. Ryu's shakunetsu was a hcf so ha(which is what I based the command on iirc)! -Ouyaku cant be Tigerkneed anymore. EX version has a longer recovery, the same damage as regular, and adjusted stun. Hadoushou needs a HCB command. I'll keep saying this until it's shot down for good. Wait, why no Tiger Knee for Ouyaku? Gives an incentive for the ex version, making it more useful. Nerfs the special version a tad also. 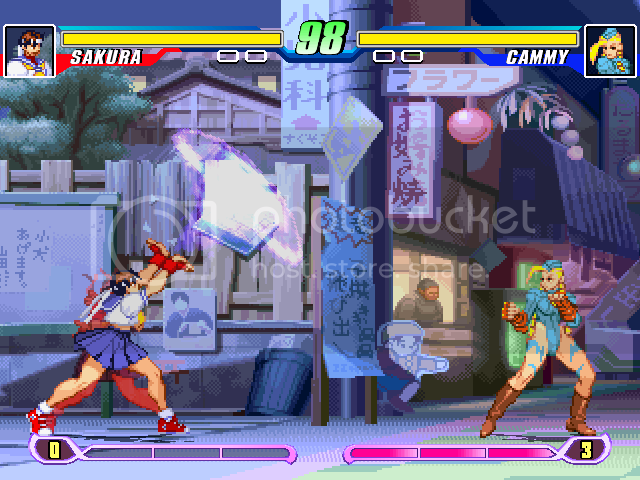 I'll probably do the same thing with Cammy. Evil Ryu? I didn't know you were making him... Wait, you listed him twice. Wow Im tired. 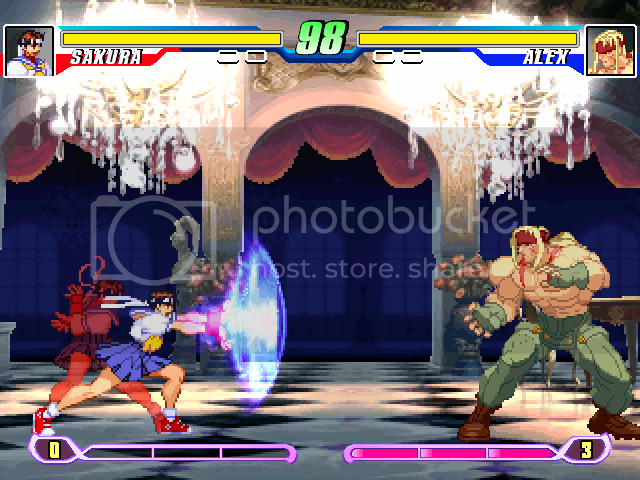 I basically meant the Akuma style characters. 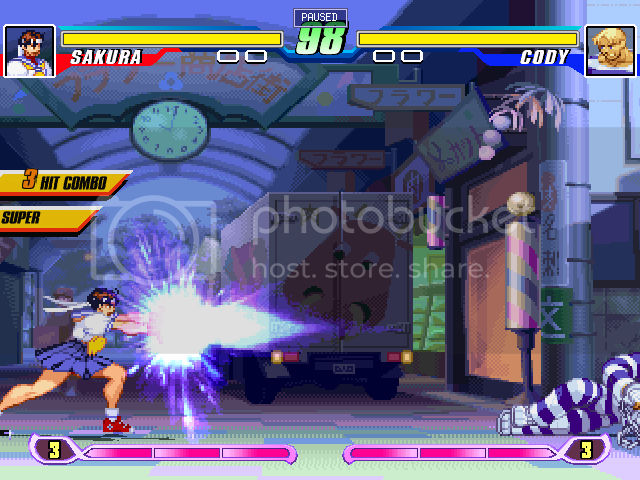 And I made an E.Ryu for SFAS/SFE/SF game thing. Ryu was probably a rare exception? Should the hadoushou command? Should the Hadoushou command what? I think either less leniency or HCB command. Go for it. That's probably the closest thing we'd get to a "final" decision. I added another option to the poll that I forgot last night. 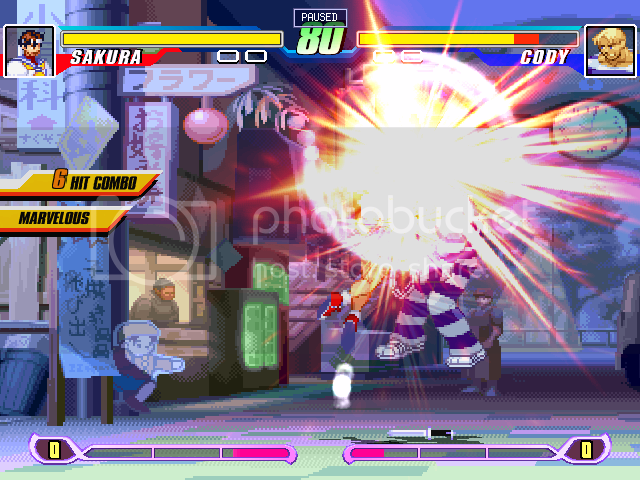 -Shinkuu hadouken no longer has a chance of stun damage(I dont think it did before, but I forgot to add 0 stun). -Aww, that was so hilariously OP. -It was her EX Dive Kick. I just happened to see it a couple days ago. She tends to crush your guard a bit faster than others. -ex shououken juggle properties adjusted. -some damages tweaked. same for clsn. I'm considering giving her an ex mode, but I prefer making my ex characters different.